Want to know more about the path to becoming a roller derby player? San Diego Derby United and SoCal Derby have joined together to offer you banked, flat, women’s, men’s, and junior’s roller derby in one convenient central San Diego location. At our facility, you have the option to participate in the sport of roller derby in the way that suits you best. You may start as a new skater in the Bootcamp program, designed to train incoming members from the ground up, transfer in from another league to play on the competitive teams, or learn how to become a referee. Whether you want to skate flat, banked, or strive to dominate both as a bitraxual skater, you can practice with the Derby United teams all week long. Empower yourself to take the first step and attend orientation. Before Orientation concludes, you will see live roller derby in action. There will be explanations of the basics of the game, including the different positions, timing, and structure of a roller derby bout. There will be coaches on hand to answer questions as the action is happening. Derby United Adult Bootcamp skaters are charged a $90/month membership fee. This fee includes all eligible Bootcamp practices and Open Track. All new skaters join through the Bootcamp program. Transfer, returning and experienced derby skaters, may sidestep Bootcamp with a skills evaluation. Once enrolled, prospective members will receive their membership free of charge for the remainder of the month during which they attended orientation and filled out paperwork. All memberships are paid via autopay on the online Member Portal on the 1st of every month. Bootcamp membership is month-to-month and may be canceled at any time (with 2 business days notice for cancellation to take effect). 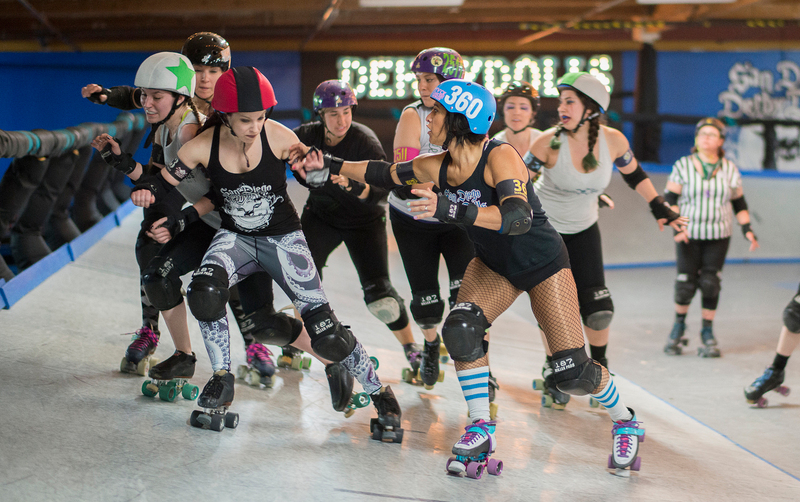 Details may be found in the Roller Derby 360 Membership Agreement. No experience is needed to join San Diego Derby United. There are no try-outs for Bootcamp. Just come to orientation and hear all about how the program works. Orientations for the new year will begin on February 11, 2019. Please fill out the form below to be contacted as soon as the next orientation begins confirming RSVPs. Have more questions? Contact our New Skater Coordinator at newskaters@sandiegoderbyunited.com.